The other day I confused the girl at the grocery checkout by calling a nectarine an apricot when she tried to confirm the code for this one random fruit in my basket. 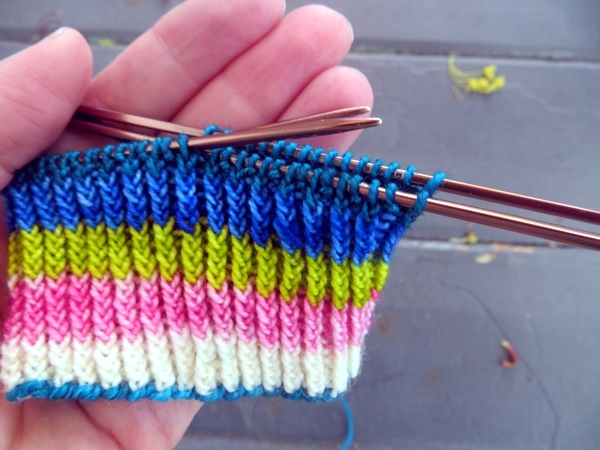 Look, it's a tiny baby socklit! and it matches that maple blossom. Her: You're sure this is an apricot? Me: No, sorry. Nectarine. There was a lot of indecision in the fruit section today. Her: Do not apologize. I am indecisive at the fruit section every day. I'm there staring, and the guys who work over there say, Just have your usual, and I say No, no. Me: Because you want something different, right? Me: And then you end up getting the same thing anyway, right? Chomp that maple blossom, tiny socklit monster. Funny how I knew what she was talking about, huh? 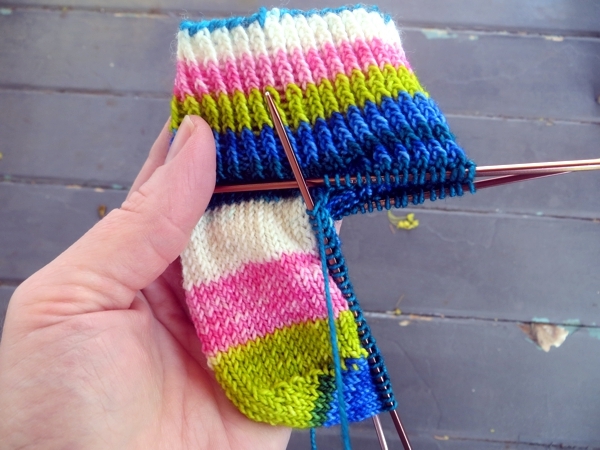 I mean, it's not as though I don't keep on knitting socks all. the. time.